Smell Good Spa: Indie Artisan Giveaway-2010! Afriquelachic! You must leave your first name along with email address to qualify for this giveaway. Entries without these details are not counted in giveaway. 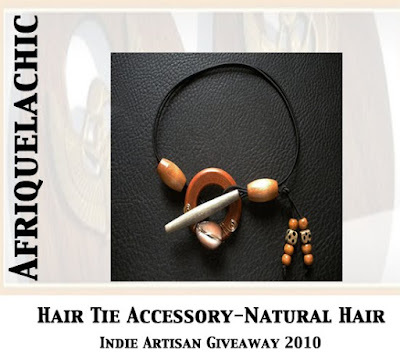 This month's Indie Artisan Giveaway is being sponsored by Afriquelachic! Afriquelachic- The inspiration behind Afriquelachic is cultural and contemporary styles blended to form a sense of eclectic and soulful funk. Afriquelachic embraces African women who embrace their own natural beauty and demonstrate it through their own traditional styles in cultural history along with modern inspirations. Be bold and beautiful. Hair Tie Accessory-Retail value $18.99. The contest ends on Tuesday, April 13th, 9 p.m.(est). The winner will be selected using random.org. Thank you for picking out great Etsy artists! There are TOO many for me to look at and it's nice to have your recommendations. AfriqueLaChic is fabulous! I will definitely be trying some of their hair accessories! All of her pieces are gorgeous, but if I had to choose one I would say the carnelian ring. Simply stunning! WOw. She has beautiful jewelry! I love the red rose necklace. I can totally see myself wearing that one. So many beautiful pieces to choose from. I am partial to turquoise, so I absolutely love the Karma Turquoise hair tie. Beautiful work! I like the "Island Girl African Natural Hair Tie". Ooohhhh! Thank you so much for sharing this site! I l.o.v.e. it! Even if I am not selected I WILL be making several purchases. The pieces of art are exquisite & unique. Butta Fly Beauty African Waistbeads would be my fav if I must choose just one. 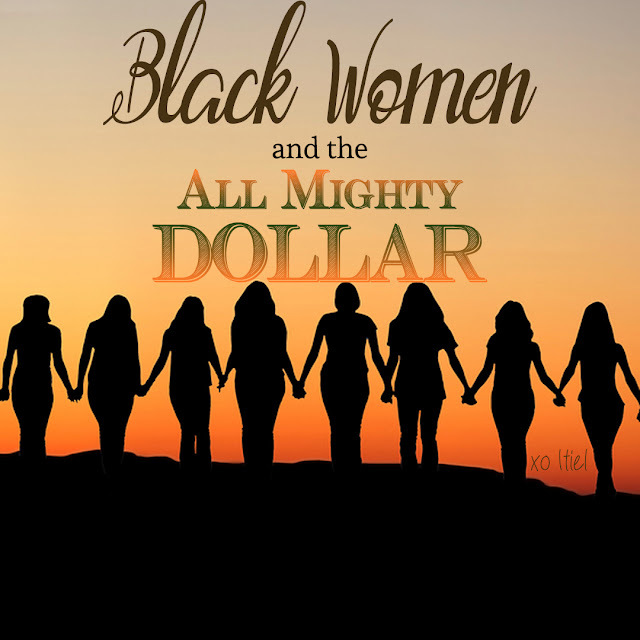 Congrats to all who get to experience AfriqueLaChic's shop. I also like the fact that the artist includes an extension chain for "a little more room". Wonderful! Love the fact that it includes an "extension" chain! I LOVE all of her jewelry, but especially the "She Rules Kemet Brass Cuff Bracelet" It's to die for, darling. Want it!